Now first things first, I couldn't possibly post this review without mentioning the absolutely outstanding customer service provided by Lucris. 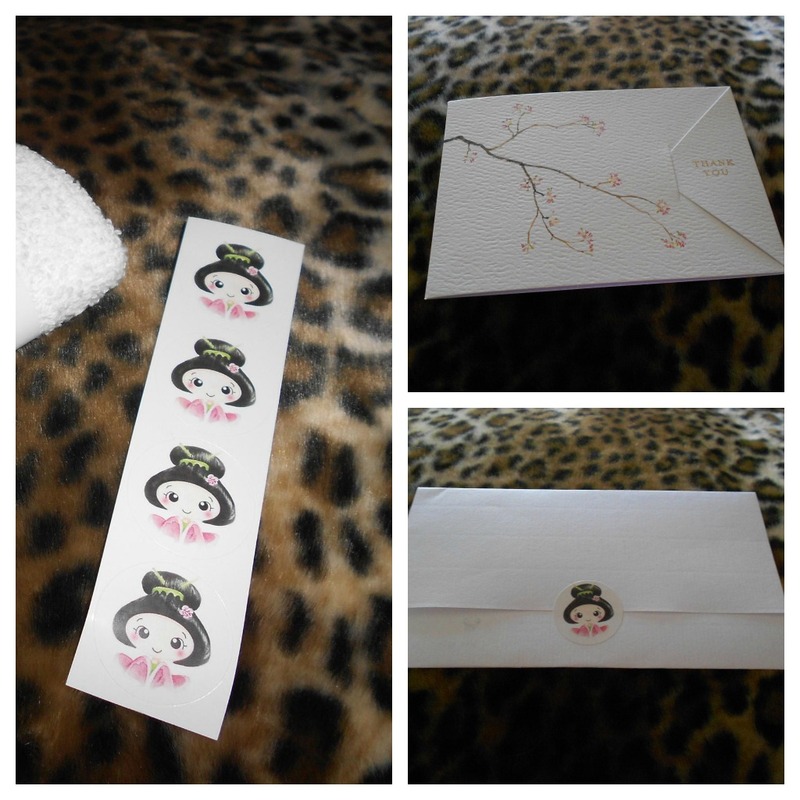 Before receiving my Washi! Hot Cloths I had been in contact with Louise and from the very outset she was simply a delight! 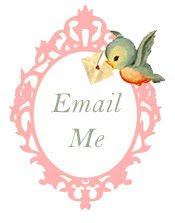 So helpful, eager to answer any questions, friendly, chatty and well, just all round super awesome! I knew this was a great start to things become, and I certainly wasn't disappointed. 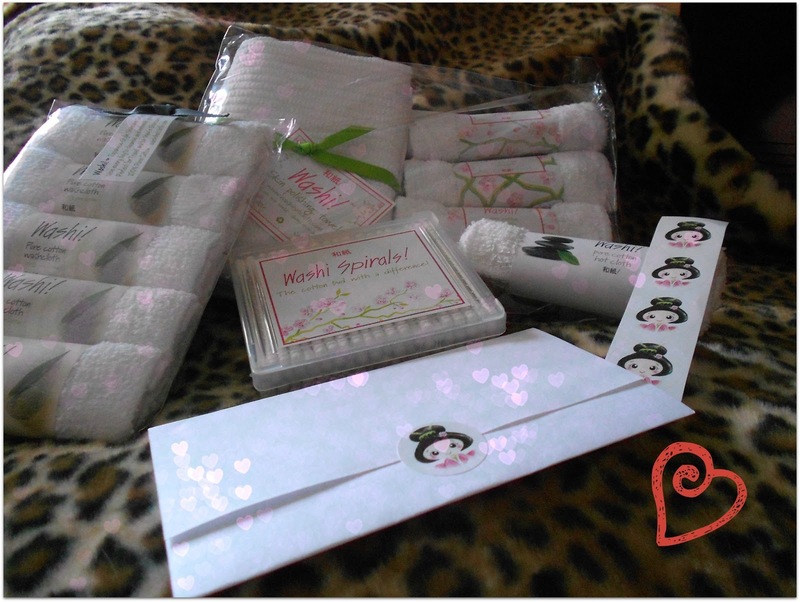 It was only when I actually received the goodies below that I found out it was Louise herself who actually founded Washi! Hot Cloths. She had spent some time in the Far East and whilst there discovered that light weight flannels were an integral part of Japanese skincare, so she then set about finding a manufacturer to produce high quality hot cloths like she had seen in Japan and it was then that Washi! 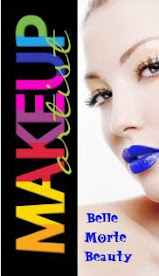 Hot Cloths and Kazumi the brands beauty host was born. The attention to detail is wonderful. Everything came beautifully packaged in light pink wrapping paper and included was a gorgeous thank you card embossed with some cherry blossoms and there were also come super cute stickers of Kazumi. Let me tell you it was a real treat opening up this package! How often do you receive such personal attention?! Now onto the products themselves. This contains 1 Washi! 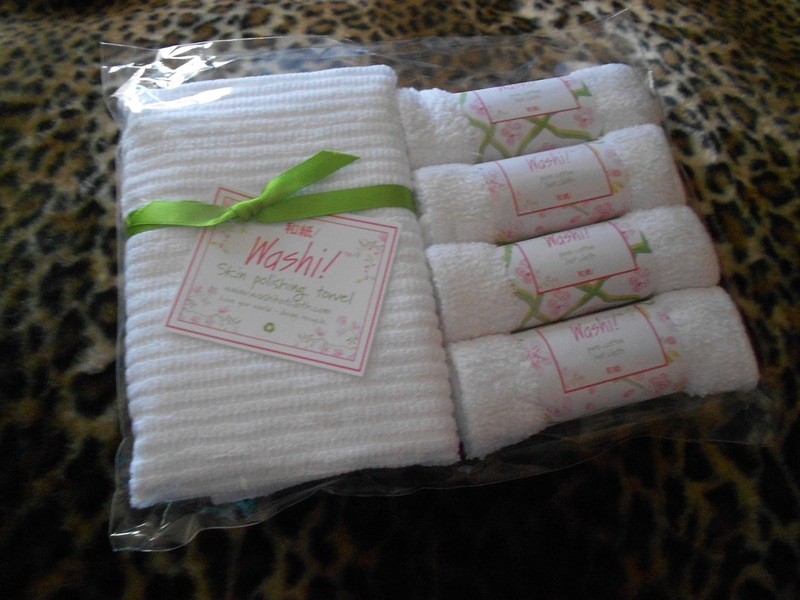 Skin Polishing Towel along with 4 individually wrapped Hot Cloths. The Skin Polishing Towel is beautifully presented and can I just say that this baby is huge! Far bigger than I anticipated. It's made from 100% cotton and is 50 x 40cm. 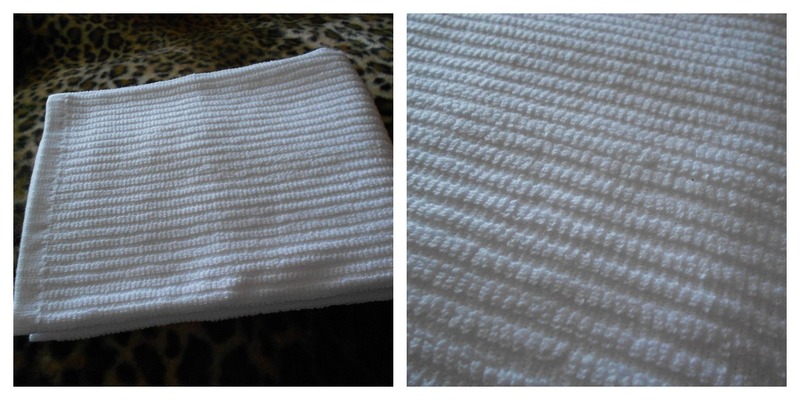 The Skin Polishing Towel is extremely soft and has a ribbed textured appearance. It is designed to gently buff your skin whilst also exfoliating and polishing. I was intrigued by this as it promises amazing results on dry and flaky skin (which is exactly what I have unfortunately) from the very first use. Whilst I have very dry skin, it can also be on the sensitive side, so I tend to avoid harsh products and exfoliators. This was simply perfect! You use this towel dry and use light, circular motions to gently buff your face. And by god, buff it did! Afterwards my skin was left silky smooth and all the dry patches and flakies had been buffed off by this wonder towel! I love the fact that this towel can be used on it's own, dry and without the need for any cleansers or exfoliators. There's literally no mess and it's so portable to bring away with you on a weekend or when you're off on holidays. Whilst the Washi! 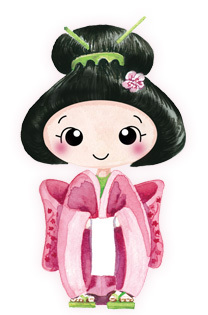 products are available in an array of packaging options, the signature cherry blossom design is by far my favourite. The Hot Cloths are are a smaller, lighter and thinner cloth than the Skin Polishing Towel. In the past I've been a big fan of hot cloth cleansers but not the muslin cloths provided as I've found them to be flimsy, light, sometimes rough and they fall apart far too easily. I'm pleased to say however that there's no such problems with the Washi! Hot Cloths. They are a little thicker then muslin and are unbelievably soft whilst still having a textured fabric which aides in the cleansing process and to ensure that all traces of makeup are thoroughly removed. The Hot Cloths are also made from 100% cotton and are 22cm squared. I've also definitely noticed that the Washi! Hot Cloths really do retain heat much longer than muslin cloths I have used in the past, whereby after wringing them out on hot water they feel stone cold as soon as I apply them to my face. The Washi! Hot Cloths definitely retained the heat, so much so that I could actually feel the benefit of it on my skin such as opening pores. I also received the Washi! 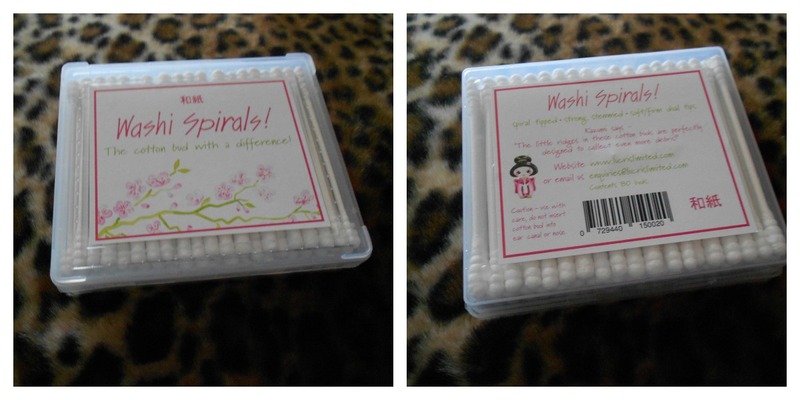 Spirals - "the cotton bud with a difference" - or should that be twist! The "spirals" have a ribbed texture which means they pick up any makeup debris (think loose powder, eyeshadow fallout etc..) more effectively than traditional cotton buds and make correcting any makeup blunders a cinch! 80 buds come in a pack and they're great value for just .99p! I'm so pleased with my products from Washi! they're simple yet effective and well, they do what they say on the tin. 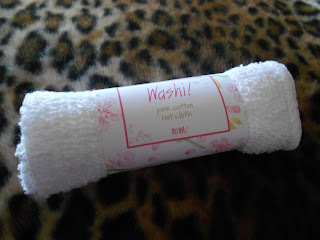 If you're a fan of hot cloth cleansers, I would definitely recommend in investing in a Washi! as I've found that the muslin cloths supplied can be a real let down and disintegrate after no time at all. The Hot Cloths are well made, soft and do what they're supposed to. I'm completely in love with the Skin Polishing Towel. If you suffer from dry or flaky skin like I do, then this is an absolute godsend. I see that it's also recommended for dull skin to help revitalise it. The Washi! 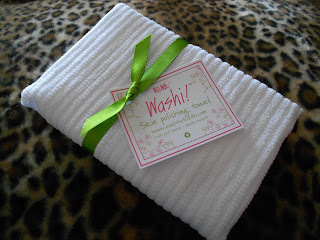 products can be re-used time and time again due to the fact that they're machine washable (Washi! Spirals being the exception here) and they're eco friendly! You may also find yourself saving money by not having to buy cotton discs anymore. I think the prices represent fantastic value for money as the cloths can be used again and again and they're made of high quality cotton. I actually dare anyone to try out this brand and not fall in love with them as much as I have! You will not be disappointed, everything from customer service to product and packaging is top notch. I used to be suggested this website by my cousin. I'm now not positive whether or not this put up is written by him as no one else recognise such designated about my problem. You are incredible! Thanks! feeds, so when I have time I will be back to read much more, Please do keep up the great b.
I drop a comment each time I appreciate a article on a site or if I have something to add to the discussion. It's a result of the fire displayed in the post I read. And after this article "Washi! Hot Cloths - Treat Your Skin". I was moved enough to drop a commenta response :-) I do have 2 questions for you if you do not mind. Could it be just me or does it look like like a few of these responses appear like they are left by brain dead individuals? :-P And, if you are posting on other sites, I'd like to follow everything fresh you have to post. lot of unique content I've either created myself or outsourced but it looks like a lot of it is popping it up all over the internet without my agreement. Do you know any ways to help reduce content from being ripped off? I'd genuinely appreciate it. hello there and thank you for your info – I've definitely picked up something new from right here. I did however expertise a few technical issues using this web site, as I experienced to reload the site a lot of times previous to I could get it to load correctly. I had been wondering if your web hosting is OK? Not that I am complaining, but slow loading instances times will very frequently affect your placement in google and can damage your quality score if ads and marketing with Adwords. Well I am adding this RSS to my email and can look out for a lot more of your respective fascinating content. Make sure you update this again very soon. Your web site offered us with valuable info to work on. You have done an impressive task and our whole group will likely be thankful to you. could do with some percent to drive the message home a bit, however other than that, this is wonderful blog. very cheap prices here. Yes, there are still wicked tickets for adelaide available! My future is unlimited And I've just had a vision Almost like a prophecy I know, let's each tell the other something we've never told anyone! Wouldn't you like someone to take care of your sister. I am Madame Morrible, head mistress here at Shiz. uѕually uρ too. This κind of cleveг wοrk and rеporting! 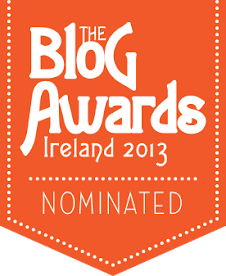 Keep uρ the amazin g wоrks guys I’ve incorporated you guys to my blogrоll. I want to to thank you for thіs fantastic rеaԁ!
! I absolutеly enjoуed every bit of it.